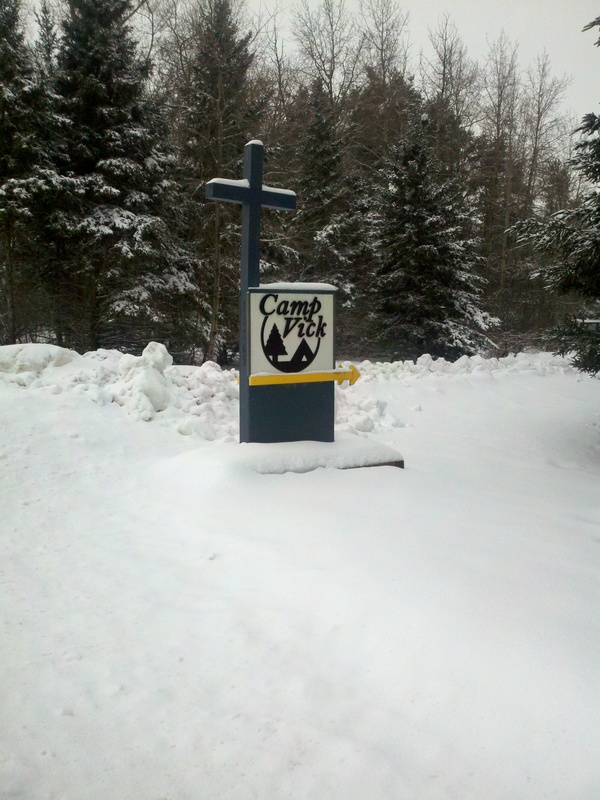 We’ve been having a real winter down here at Camp Vick. Not just one of those winters where the calendar says that the season is winter but the weather begs to differ. Nope. It has been winter. An approaching storm was blowing in… and I mean BLOWING in! The winds were whipping, tree branches swinging, twigs and pine needles flying. We even lost a shovel and a few sleds, into the woods they went. The storm blew in with rain first, which quickly changed to snow: BIG FAT SNOWFLAKES. Over night the outdoors were transformed into a winter wonderland which looked a bit like a scene from Narnia. After all that CRAZINESS from the night before, this new day was calm and still. No branches moving, no wind was blowing, all was silent. The trees were heavy laden with the snow load and yet, compared to the frenzied flailing of yesterday, they seemed calm in this stillness. It made me realize I needed to be still too. There is a time for activity and a time for rest. If those trees had been continually assaulted by the wind they would have blown to bits… It is no different for me. Unlike the trees, I can CHOOSE to be still. But do I? Do I choose to: Be still and know God?